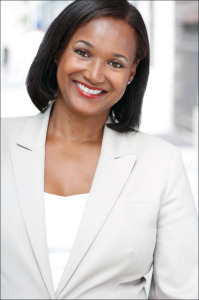 Donna Torrence, Vice President at mediasavvy pr, began her career in entertainment as a journalist contributing in-depth entertainment cover features on such celebrities as Queen Latifah, TLC, LL Cool J and Michael Jordan. In 1997, Donna became Director of Publicity at Arista Records in New York where she was responsible for further raising the profiles of such stellar recording artists as Prince, Sean “Diddy” Combs, Whitney Houston, Usher, TLC, Faith Evans, Goodie Mob featuring Cee Lo Green, Q-Tip and Run DMC, to name a few. Donna Torrence’s first clients at mediasavvy pr were music and fashion mogul Sean “Diddy” Combs’ Bad Boy Records including a full roster of artists, television (MTV’s “Making the Band”), film projects (“Bad Boys” starring Martin Lawrence and Will Smith) and concert tours. mediasavyy also spearheaded all media and marketing for hip hop entrepreneur Percy “Master P” Miller and his superstar teenage son Lil’ Romeo (Dancing with the Stars). Donna was instrumental in negotiating with the NAACP in their selecting Percy Miller as their Youth Ambassador, a position previously head by former president William Clinton. Mediasavvy most recent clients include Cash Money/Universal Records where she headed up all PR for the labels non-music ventures including book publishing (CMC books), sports, fashion, television, spirits and charitable initiatives. Other clients include: New York Times best-selling author Carl Weber and his Urbanbooks/Urban Books Media working on both publishing and film releases, and Participant Media working on 2016 film releases.